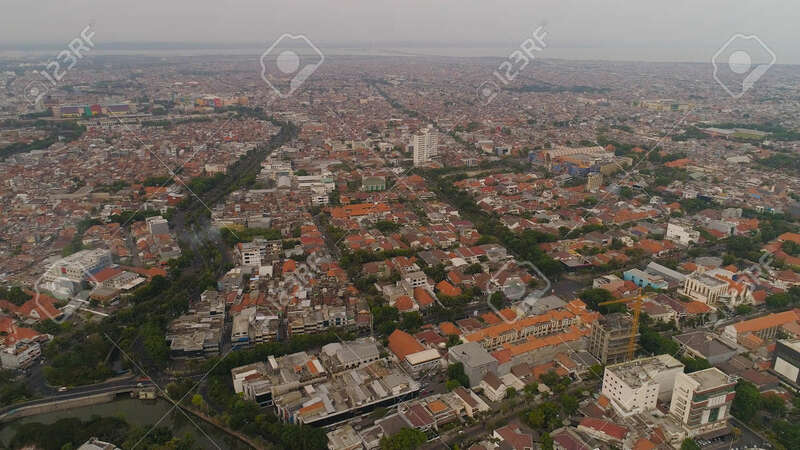 Aerial Cityscape Modern City Surabaya With Skyscrapers, Buildings And Houses. Sunset In City Skyline With Skyscrapers And Business Centers Surabaya Capital City East Java, Indonesia Lizenzfreie Fotos, Bilder Und Stock Fotografie. Image 115259701.